Telephone systems have dramatically transformed since Alexander Graham Bell made the first phone call in 1876. What began as large, clunky machines have evolved into lighter, wire-free, and transportable devices capable of connecting people from all around the globe. And for many of today's businesses, phone systems are no longer just machines for calling - they have become a vital tool that makes up a critical part of how an organization operates. The emergence of Voice over Internet Protocol (VoIP) technology, in particular, has helped transform how many businesses communicate, collaborate, promote their products and services, and serve customers. Because of the benefits of VoIP, an increasing number of companies are ditching their traditional landlines and switching to VoIP. But how exactly do these two phone systems differ? And what makes companies prefer VoIP over a traditional landline? One of the major differences between landline phones and VoIP phone systems is the technology used for transmitting phone calls. 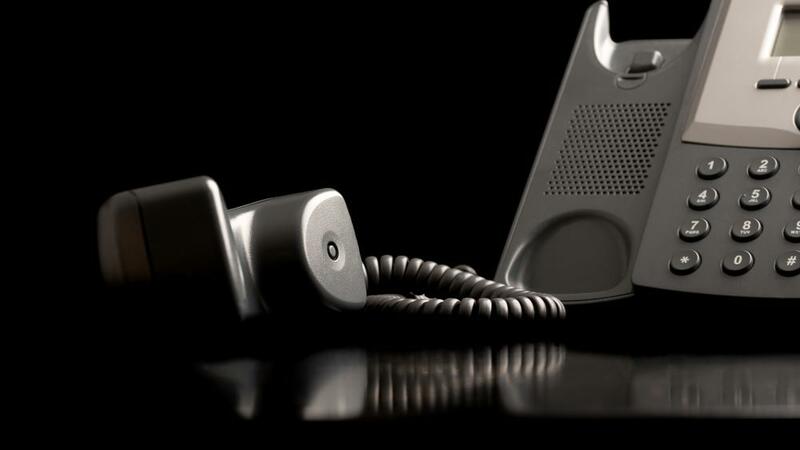 Landline phones rely on the Public Switched Telephone Network (PSTN) to transmit calls. The PSTN refers to the network of copper and fiber-optic wires that carry analog voice data. Calling on traditional phone systems means users can expect clear and high-quality calls, but it could also mean paying higher calling charges and operating only with basic features. VoIP phones, on the other hand, use the internet to send and receive calls my converting your voice into data packets. Eliminating the use of copper wires and physical exchanges has allowed callers to enjoy lower calling rates. The technology was introduced in 1995, and although it was fraught with complications in the beginning (such as poor call quality and audio issues), VoIP managed to stay current and survive. Calling on traditional phone systems requires you to have a physical handset connected to the PSTN. VoIP, on the other hand, is flexible when it comes to equipment. Some of the more common devices you can use with VoIP include your computer (installed with a softphone client), analog phone (given it’s connected to an Analog Telephone Adapter (ATA)), IP phone, and your smartphone (via a mobile app). With a traditional landline, users are often stuck with a limited feature set. Aside from domestic and international calling, traditional phone services offer caller ID, call forwarding, call blocking, call waiting, three-way calling, and voicemail. VoIP phone solutions, meanwhile, include all these basic calling features plus an extensive array of advanced phone functionalities. These include auto attendant, advanced call forwarding, call queue, video conferencing, integration with business applications, mobile apps, call recording, and more. Businesses that are growing or downsizing also consider their phone systems to adjust to their current need, which means they either add or remove lines or users. This can be a problem with traditional phones. Scaling up or down usually means a company has to call in a technician onsite to make some changes, which can be a costly and time-consuming process. The great thing about VoIP is that is a highly scalable system. Most VoIP services offer an online portal where managers can easily add or remove users and lines (as well as features) at little to no cost. You can start with even just one user and then increase your number as your business expands. Perhaps the most apparent difference between the two is the cost. While the cost of traditional landline services has dropped over the years, it still cannot match the relatively affordable rates of VoIP. Basic VoIP packages, for instance, include free unlimited calling to anywhere in the US and Canada, as well as to other countries. Most VoIP services also charge per user or per seat, making it easier for companies to control costs. Plus, given that VoIP can be used with almost any device, companies can also save on technology and equipment costs by implementing a Bring Your Own Device (BYOD) program in their organization. While landline and VoIP share a similar goal - which is to help people communicate - they also have plenty of notable differences. And looking at the differences, there is no doubt that VoIP phone solutions are the clear winner as they offer superior value over traditional phone systems.